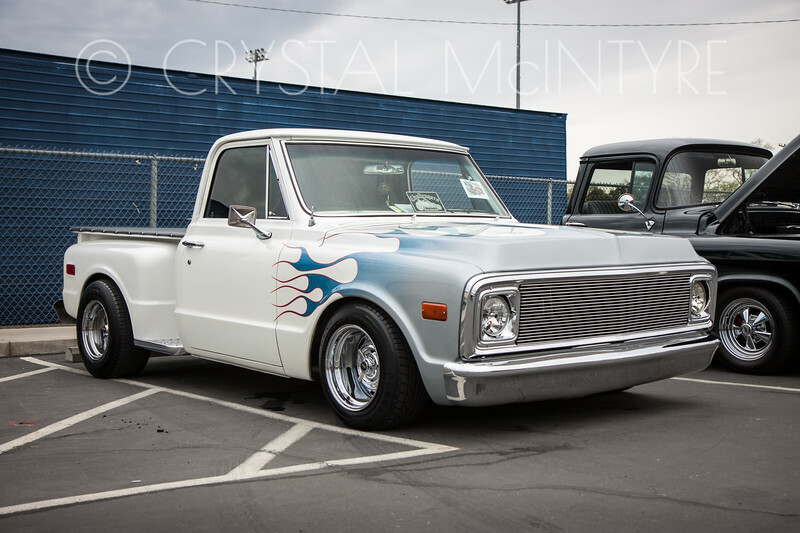 I thoroughly enjoyed all the beautiful cars & trucks at the 5th Annual Casa Roble High School Car Show held on March 18th 2017 sponsored by Sac City Muscle Car Club. Being a first-timer to this show, I was impressed with the amount of cars there were. Despite the chance for rain, nearly 300 showed up! Old and new, there seemed to be something for everyone, and spectators were welcomed with music, food trucks, and puppy-love from the Greater California German Shepherd Rescue. I have to say that this is the FIRST car show I've ever been to that got rain! Thank goodness only for a minute. It did not seem to dampen the spirits of the owners nor the spectators, though. It was going to take a lot more than a little water to ruin a good car show. I look forward to attending this one again next year.